The Short Version: When people decide to look outside of their geographic region for a long-term, meaningful relationship, they often start with plenty of questions. That’s where the Transpacific Marriage Agency (TMA) can help. Founder Bruce Smith has plenty of advice for Western men who want to connect with Japanese women and vice versa. Over the last 25 years, TMA has facilitated nearly 8,000 marriages, and 40% of its clients get married within the first 18 months. Bruce understands the challenges in making a long-distance relationship last and offers tips to help others find the love of their lives. If you have a few preconceived notions of what an American man is like — or what a Japanese woman is like — you’re not alone. 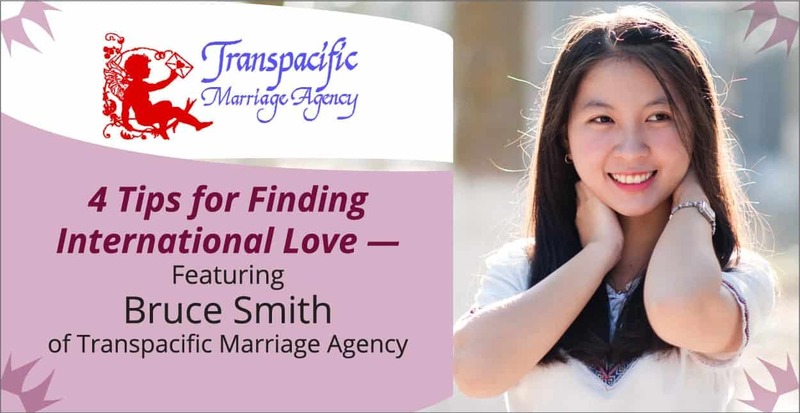 Bruce Smith, Founder of the Transpacific Marriage Agency (TMA), knows all about those perceptions because he helps connect men and women from opposite sides of the globe. “People have presumptions and assumptions, and we have to educate them. When people join the agency, they’ve gotten to the point that they need to find something different than what their current environment provides, and a lot of that rests on their presumptions about what people in the other cultures are like,” he told us. Bruce has helped facilitate relationships for 25 years and has plenty of advice for people who want to find international love. A significant part of his job is educating clients on the realities of both cultural differences and human similarities. He teaches people that relationships depend not on where people are from but on shared values and healthy communication. That’s why he’s been responsible for nearly 8,000 marriages since founding TMA in 1994. Perhaps even more impressive is that fewer than 10 of those marriages have ended. And the agency’s client-first policy means that TMA will tell potential members if its services aren’t right for them. Bruce understands the challenges of connecting internationally, and wants to set his clients up for success. Getting help to overcome those cultural hurdles — as well as the legal barriers — can mean the difference between a failed relationship and a marriage that lasts a lifetime. That’s why Bruce gave us some of his tips from his years of experience in this industry. Bruce understands the beauty and the richness that comes from the Japanese culture after having lived in Japan for many years. He’s also lived in South America, Central America, and the Middle East, so he’s familiar with many cultural norms and values around the world. When it comes to connecting Japanese women and Western men, Bruce said his team spends a lot of time helping people understand the Japanese culture while also helping Japanese women better understand the Western viewpoint. “They’re not right or wrong, but it’s an educational process. We include information that we’ve learned over the years that drives interests of those seeking international love,” he told us. Bruce said many clients come to him with a laundry list of demands of what they want in the perfect partner. One of his top tips is to let go of those demands. Clients who sign up with the Transpacific Marriage Agency do get some assurances upfront that other members of the site are legitimately looking for long-term relationships. All clients undergo a background check to ensure they’re legally available to marry another person. If a potential client is separated but not divorced, they must present a divorce certificate before they can sign up with the agency. Bruce encourages his clients to learn good communication skills because he said they’re vital to a successful relationship. Since not all communication is verbal, Bruce also encourages people to pay attention to body language and be considerate of others. Transpacific Marriage Agency clients can browse profiles to find members who pique their interest. Of course, communication also comes with understanding cultural differences. Thanks to movies and the media, people in both Japan and the West have ideas about each other that may not be correct. That’s why it’s all the more important to communicate clearly with each other. Bruce’s agency has been successful in connecting people for lifelong love by helping them overcome cultural hurdles. But clients also need to come to the agency with their personal lives in order. With clients in more than 60 countries, the agency doesn’t discriminate, but Bruce and his team try to provide people with realistic ideas of what they can expect in an international relationship. Of the nearly 8,000 marriages the Transpacific Marriage Agency has fostered, about 40% of those clients got married within 18 months. At the 30-month mark, the number of married clients climbs to 60%. Bruce said part of that success is that the agency doesn’t rely on an online search system; instead, it focuses on making connections the old-fashioned way: find those who share similar values. That approach has worked well for Bruce, who also employs other strategies that stand out in the industry. For instance, both men and women pay for TMA’s services. Some companies require just the men to pay, which Bruce said doesn’t work well when it comes to facilitating a healthy, long-lasting marriage. 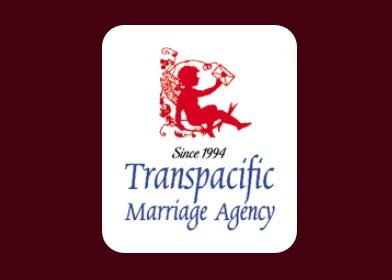 Bruce Smith founded the Transpacific Marriage Agency to foster long-term relationships. Bruce wants to help relationships grow as organically as possible, even if they’re across the globe. He accomplishes that by preparing his clients — through his advice and guidance — for the challenges they face. Because marriage isn’t all about initial attraction or a list of traits you want in another person. It’s about merging two lives into one harmonious union through shared interests and experiences.